Focus on experiencing and appreciating art as a way to help students develop ways of thinking that support thoughtful learning. Artful Thinking helps teachers use works of visual art and music in ways that strengthen student thinking and learning in the arts and beyond. The goals of this program are to help teachers create connections between works of art and the curriculum, and to help teachers use art as a force for developing students’ thinking dispositions. 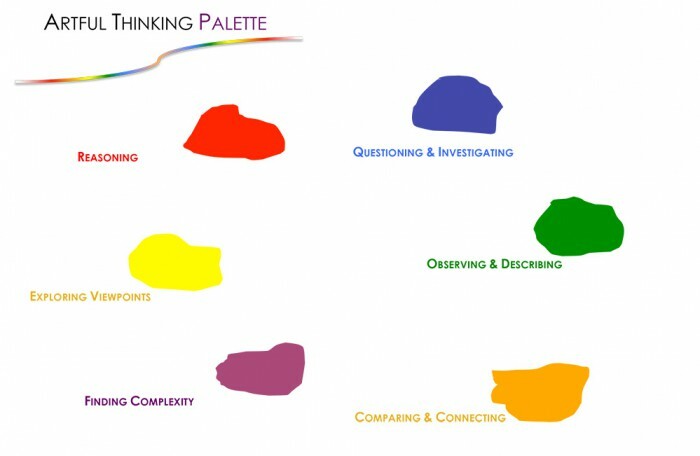 Using the artist's palette as a central metaphor, the Artful Thinking "palette" is comprised of six thinking dispositions which strengthen students' intellectual behaviors. These dispositions are developed through Thinking Routines, which are easy to learn and can deepen students' thinking in the classroom.